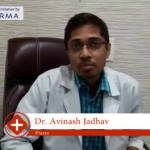 Dr. Avinash Jadhav is an experienced Dermatologist in Law College Road, Pune. You can meet Dr. Avinash Jadhav personally at Smile n Glow in Law College Road, Pune. Book an appointment online with Dr. Avinash Jadhav and consult privately on Lybrate.com. Lybrate.com has top trusted Dermatologists from across India. You will find Dermatologists with more than 42 years of experience on Lybrate.com. You can find Dermatologists online in Pune and from across India. View the profile of medical specialists and their reviews from other patients to make an informed decision.